In many parts of the U.S., early season racing will soon be upon us. Get tuned up with these indoor race-specific workouts. 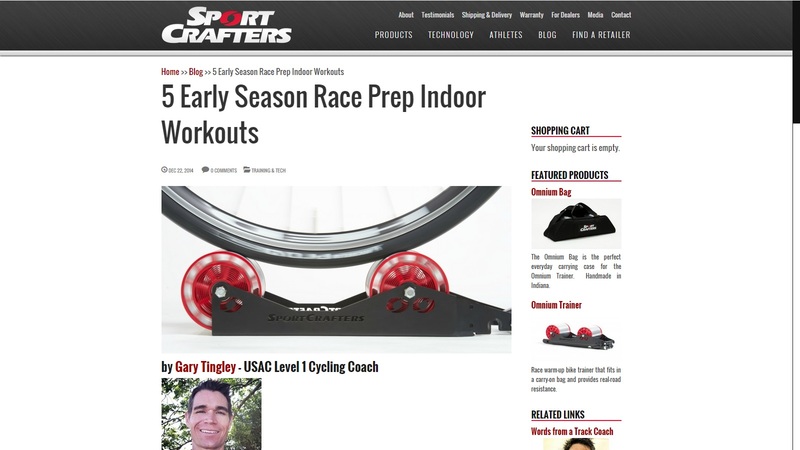 I perform these on my SportCrafters Omnium Trainer and use a large floor fan for cooling. Note: For pacing using PE or a HRM, see Power Training Levels by Training Peaks. Start with a 20-30 minute gradual warm-up. For this workout, visualize taking :15 second HARD (130-150% FTP) pulls, and then dropping back behind an imaginary breakaway partner into the draft for :15 seconds. Do this for 10:00. It will be difficult, but keep it rolling. Then easy for 5:00. Finish out the ride at endurance pace (70-80% FTP). For main set #1, ride 4 x 12:00 @ 98-103% of your FTP with a 3:00 rest interval between each threshold interval. Then do a reverse pyramid of intervals @ 93-95% FTP, starting with 20:00 and working your way down, by cutting the time in half: This is 20:00; 10:00, 5:00, 2:30; 1:15; :45. Incorporate 3:00 of recovery time in between each effort. Recover for 5:00+ after the last interval, to make 1.5-2 hours total ride time depending on your needs. Then complete a set of 5 microbursts of :30sec/:30sec 150% of FTP “ON” and 50% of your FTP “EASY”. Then ride very light for 10:00 to fully recover. Then after this set, ride at endurance pace to make 1.5 hours total ride time today. The warm-up is 40 minutes total, and at a race is also completed on a trainer or on rollers. 20 minutes easy spin, slowly raising cadence to 100 rpm, and include a few 5 second high-cadence bursts. Then 1×3 minutes @ 90%/95%/100% of FTP w/2:00 easy spin between intervals 1-2, 2-3. 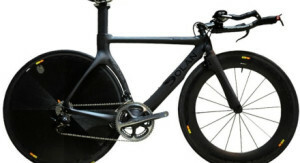 While I am a fan of the concept of increased braking performance, two issues I believe will greatly slow the adoption of disc brakes use in road and time trial racing are increased weight and increased drag.